Here are a few items to get you started. There are lots of others that contributed to the development of the ideas in the novels you mention -- a lifetime's worth. In support of the notion of "going local," we strongly urge readers, whenever possible, to buy recommended books from their LOCAL booksellers...BUT, if you are going to use Amazon.com -- use the links below! (The Ishmael Community website gets a small referral fee that helps offset the cost of running this site.) The hot links below will take you to Amazon.com Bookstore where you can learn more about these books (and lots of others). You will not be asked to buy anything...but you can if you want to. Having spent years contemplating a life-close-to-Nature like the one that Henry David Thoreau described in Walden, English teacher Michael Gurnow applied for a minimum-wage job as a Trail Maintenance Worker—and counted himself lucky to get it. His book is a comedy, filled with hair-raising tales of encounters with turkey buzzards the size of skinny gorillas, combative deer, walls of ticks, acres of poison ivy, fields of stinging nettles, and being mistaken by hikers for a deformed, purple-legged serial-killer hitchhiker. He learned that, for hikers who will not stay on designated paths, no real forest can ever be turned into a something completely stable, tidy, and safe. If someday someone who has read Nature's Housekeeper decides to create a forest theme park, he'll probably start by leveling the site, discarding all its wildlife, sterilizing the soil, and guiding its steams into concrete channels. Then he'll plant new trees and grass and import tons of butterflies, songbirds, and squirrels. A forest built in this way for billions will be undone completely by Mother Nature in a decade or so, without the expenditure of a nickel—proving that the forest theme-park builder didn't read Nature's Housekeeper very carefully after all. You can buy it at Amazon and see for yourself. In November 2013 the authors of this book asked me to read an advance copy with the idea of my possibly contributing a few words of recommendation. I did that, and my words of recommendation were these: "Our culture has been at war with the world for 10,000 years, wresting our food from it as from an enemy to be conquered, poisoned, worked to death, and discarded. Permaculture isn't just a way of growing food, it's a culture different from ours, a culture making peace with the world in every way. See it at work here. You'll be astonished. I was." This book had such a terrific effect on me that I was moved to add a chapter about it (and about Permaculture) to a book of my own, The Invisibility of Success, then in preparation. 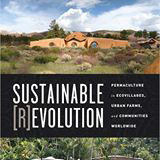 Buy Sustainable Revolution at Amazon.com . 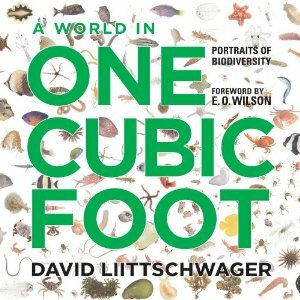 A World in One Cubic Foot: Portraits of Biodiversity by David Liittschwager et al. 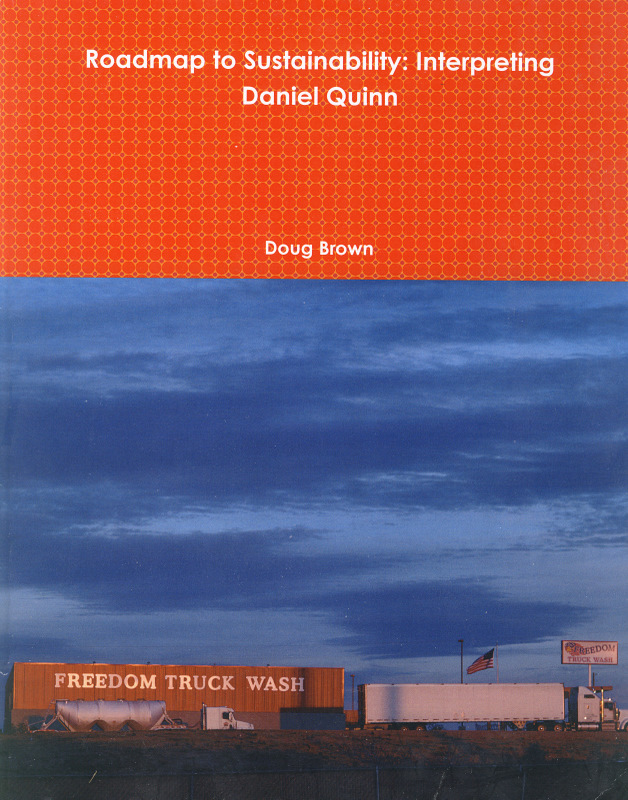 The author writes of his book: "My inspiration to become an itinerant Bible teacher came from Daniel Quinn's books Ishmael and The Story of B. And this book was largely inspired by the commentary on the 'Garden of Eden' story in Ishmael, which Quinn paraphrases and then interprets. 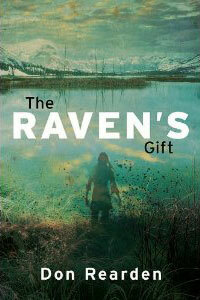 I wished a book existed where someone went line by line, word by word, further developing Quinn's interpretation." Delving into an impressively wide-ranging library, Mr. Snodgrass has made his wish come true in a remarkably readable and enlightening volume. Buy it at Amazon.com . This valuable (and for me mind-boggling) book, published in the last days of 2011, examines a previously unexamined culprit for the many issues we face today-­the monopoly of our centuries old monetary system. It also provides many ways and means that are now readily available to stop the current juggernaut towards global self destruction. Many of the solutions offered within this book are more than theory. Communities from around the world have successfully addressed a myriad of issues without the need to raise taxes, redistribute wealth, or depend upon enlightened self interest from corporate entities. Rather the improvements were realized simply and effectively by rethinking money. With such a shift everything is possible. A book to be read by everyone concerned with our current economic meltdown--most especially those in government. Buy it at Amazon.com or at www.newmoneyforanewworld.com. Subtitled "A Hidden Tribe, Superathletes, and the Greatest race the World Has Never Seen." Among the Tarahumara–the "hidden tribe" of Mexico's Copper Canyon (Spanish: Barranca del Cobre)--there is no crime, war, or theft. Their real name (Tarahumara is the name given to them by the Spanish) is Rarámuri–the Running People, and the author comments that "Come race day, the Tarahumara don't train or taper. They don't stretch or warm up. They just stroll to the starting line, laughing and banter . . . then go like hell for the next forty-eight hours." Although the book has special interest for runners, it should be of interest to my readers as well. McDougall investigates the place of running in human evolution, and cites the theory that the Neanderthals, who (on the basis of fossil evidence) were not built to run, became extinct as a result of competition of Cro-Magnon runners. 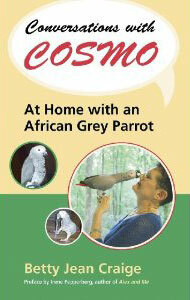 Conversations with Cosmo: At Home with an African Grey Parrot by Betty Jean Craige. and Michael P. Nelson, Foreword by Desmond Tutu. "Moral Ground brings together the testimony of over 80 visionaries–theologians and religious leaders, scientists, elected officials, business leaders, naturists, activists, and writers–to present a diverse and compelling call to honor our individual and collective moral responsibilities to our planet." 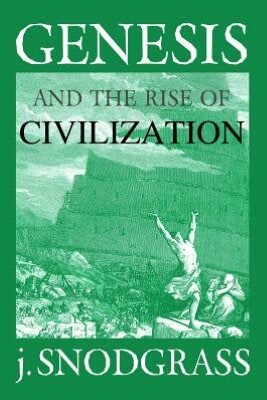 Includes Daniel Quinn's essay "The Danger of Human Exceptionalism." Buy it at Amazon.com. As the one being "interpreted" in this book, I can imagine having a multitude of different reactions, but none could match the one I had, which was simple amazement. Doug Brown opened my eyes to my own work, and he will do the same to you if you let him. I won't attempt to be more specific; it would take me a book-length review and would deprive you of the pleasure of your own discovery. In one way I wish I could have written this book myself; in another way, I'm thoroughly glad that another author is bringing it forward here to validate by placing it in the context of other works. You can order the book at Lulu.com. In this wondrous volume Hess, Emeritus Professor of Biology at the University of Central Missouri, vastly expanded and enriched my understanding of ecosystems and of the subtle ways in which they shape the creatures that inhabit them. 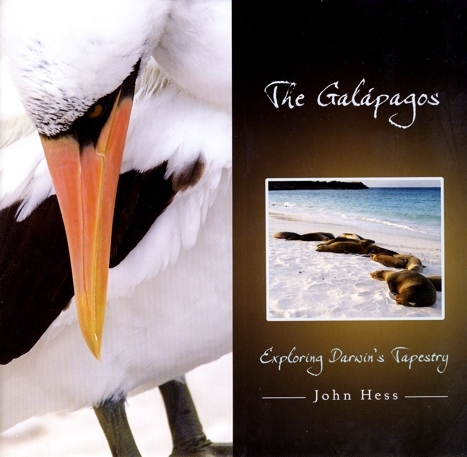 In lay-reader-friendly text and more than 150 stunning color photographs we are given intimate glances into the behavior and quirks of dozens of species, some all but unimaginable, including an albatross that takes its egg for a stroll, a seabird that can't swim, and a gull that has learned to fish for squid in the dark. A treasury of enlightenment and a treasure of a book. Buy it at Amazon.com. It almost always happens, when I speak in telephone conferences with university classes or with larger groups, that someone will ask if I have hope for the future and, if so, why. My answer has always been an intuitive one, the intuition being that in the last fifteen years or so awareness of the perils we face in the immediate future has expanded explosively–and that this in itself provides authentic hope for the future. 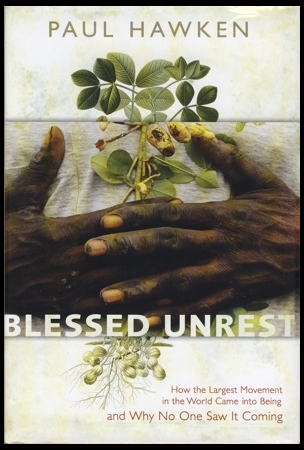 In Blessed Unrest Paul Hawken, with his extraordinary passion for information, has transformed my mere intuition into a reality. Acting on the same "hunch" as mine, he began to count. . . . "I initially estimated a total of 30,000 environmental organizations around the globe; when I added social justice and indigenous peoples' rights organizations, the number exceeded 100,000. . . . I now believe there are over one–and maybe even two–million organizations working toward ecological sustainability and social justice." 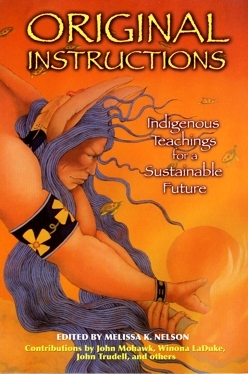 Original Instructions is a compilation of 33 presentations made at annual meetings of Bioneers, an organization created in 1990 "to disseminate breakthrough solutions . . . needed to change our way of living on earth to avert global environmental catastrophe." This is a book for the many hundreds of young (and not-so-young) people who have written to me asking how to go about "walking away" from the Taker lifestyle. 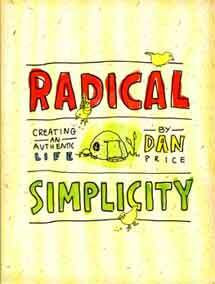 Author and "hobo-artist" Dan Price has done that most successfully, using his ingenuity and determination to build an authentic life, a life “hand made” for himself, rather than one dictated by outside circumstances. Buy it from Amazon.com or, you can buy it from BookSense.com Or you could order from the publisher, Running Press. Dancing with Mosquitoes: To Liberate the Mind from Humanism--A Way To Green the Mind - by Theo Grutter Running into Theo Grutter's book is like running into Jean Liedloff's Continuum Concept: meeting a mind that has come independently to be in synch with my own. This doesn't mean he's saying things I've said or thought. On the contrary, he continually surprises me with things I haven't said or thought. And he says them well and wittily. Of our frenetic "get ahead" lifestyle that robs our souls to fill our houses with gaudy trinkets: "Is it not the madness of the fool who day after day falls into the same pit, yet is wholly proud to know the trick of how to climb out of it day after day?" Of congratulation we award ourselves for our humanitarian greatness in the Third World: "A versatile mind might want to scrutinize with an ecologically-minded eye the greatness of our great white jungle doctors. A truly modern mind that thinks also with a third eye placed generations away might then note that this humanitarian greatness nicely exploding our population there can ultimately cast a great shadow over the flora and fauna of the jungle and stop its people from singing and dancing."